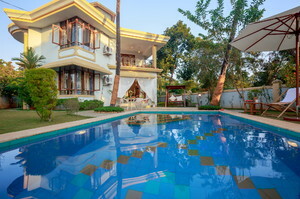 Find a luxury villa in Goa at the price of a superior hotel room. 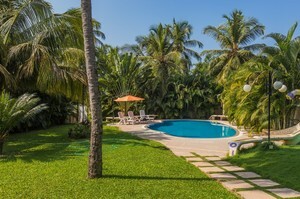 Enjoy more space per person, more privacy, security, personalized service and the best modern amenities, your private swimming pool, barbecue, manicured lawns, tropical gardens, coffee machines, air conditioning, large screen television and more. 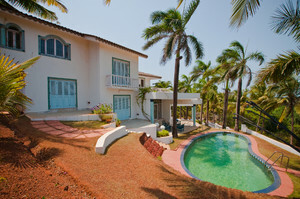 Many Goa holiday rentals offer direct beach access. Enjoy the quiet ambience and peaceful way of life. 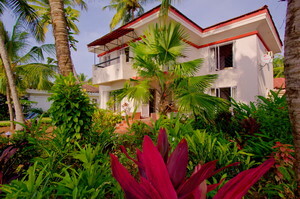 You will find many hotels all over Goa in all budgets. 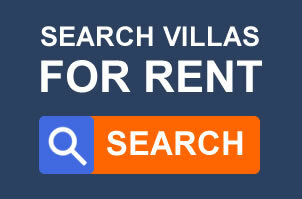 There are resorts, guest houses, boutique properties and other accommodation options. 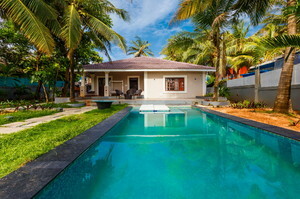 But luxury villas clearly stand out among all holiday rentals in Goa. They are much better than hotels. Cramped spaces. Hotel rooms are small. There is hardly enough space. 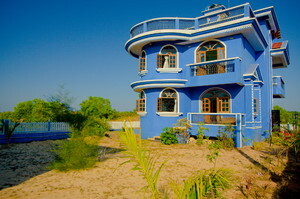 Luxury villas have spacious rooms, often with attached balconies or terraces. No privacy at hotels. You can be heard from the next room, talking to your partner. Your kids can hear what they are talking in the next room, and it may not be good for them always. Common areas such as lobby, lifts, corridors, restaurants, swimming pool. May not be hygienic. Villas are gated communities. It’s just you, your family or friends. No inquisitive or pesky guests to bother you. A villa will always be safer for the kids and adults too. Hotel rooms are impersonal. They don’t want to know you, your likes/dislikes. A villa is your home, away from home, for the holiday vacation. The owner and the staff members are all locals. You will have the perfect Goan touch here. You can interact with them, and even the owner to learn the local customs, traditions and habits. A free breakfast at hotel is not actually “free”. The price is included. Also, hotel food is not always healthy. In the villa, you can cook your own meals or ask for chef services. The chef will prepare what you want to eat, in the precise way you like. Home-cooked food is so much better if you are traveling with kids or old people. There are restaurants/cafes very close to the villa that charges much less than hotels, for times when you want to eat out. Hotels are impractical if you are a big group. All of you could be spread throughout the hotel, often in different floors. It will be very difficult to stay in touch as a result. A villa is perfect. It is just your group and nobody else. You can all stay together. It’s like guests coming and staying at your home. Hotels are costly for a big group. 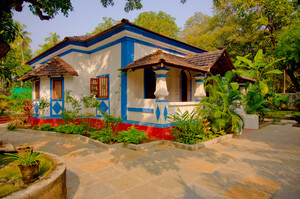 A villa will be one of the cheapest holiday rentals in Goa per person. Even if a villa costs Rs.15,000 a night, per person it will be just Rs.2,500 if you are a group of 6 people. 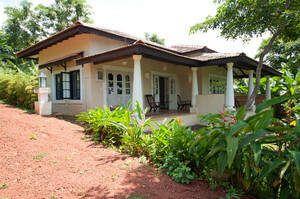 You can book a villa in Goa for the long-term or short-term. The longer you book, the more you save. Beachside, riverside, or cozy green locations. 2, 3, 4-bedroom villas, the right size for your group. Security, power back-up, chef and maid services. Swimming pool, garden, sun decks, barbecue. Big spacious living rooms and bedrooms. Furnished. Plasma television, DVD player, washing machine, coffee maker. Goa is Asia’s leading beach holiday destination. 7,785,693 tourists visited the state in 2017 according to statistics with the Goa Tourism authorities, which is a three-fold increase from the 2,788,029 of 2012. So plan a visit to Goa soon. 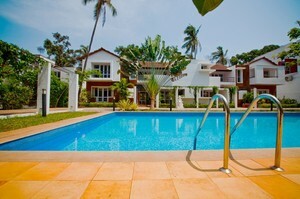 Villas are the best holiday rentals in Goa you will find. Live in luxury and make your stay truly memorable.